Massachusetts vital records are available from the Registry of Vital Records and Statistics (http://www.mass.gov/eohhs/gov/departments/dph/programs/vital-records.html). An online searchable database of the birth, marriage, and death indices from 1841 through 1910 is available at http://www.sec.state.ma.us/arc/arcsrch/vitalrecordssearchcontents.html. 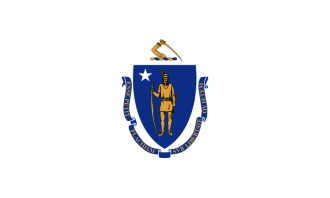 Massachusetts birth records and Massachusetts death records (starting in 1916) are available from the registry or through the local City or Town Hall (http://www.sec.state.ma.us/ele/eleclk/clkidx.htm) for a fee. In both cases, only certified copies are offered and fees include a ten-year search in the event an exact date or place of birth is unknown. Fees may be paid by personal check or money order made payable to the Commonwealth of Massachusetts. For birth and death records from 1841 through 1916, apply in person or write to The Massachusetts Archives at Columbia Point, 220 Morrissey Boulevard, Boston, MA 02125. Fees may be paid by personal check or money order made payable to the Commonwealth of Massachusetts. Note: Direct questions to vital.recordsrequest@state.ma.us. Record Access Requirements: Access to out-of-wedlock birth records and health information is strictly limited. A court order is required for adopted children's records. Otherwise, records are open. Search Note: Must present a photo ID or provide a copy of a photo ID to search. Phone and fax searchers must give exact place and date of event. Record Access Requirements: Fetal death records are not available. A court order is required to access the originals of amended records. Note: Name of spouse and age at time of death will help facilitate the search. Phone and fax requesters must supply exact place and date of event. Note: This office has some old public records and is the state archives holder. The Public Records Bureau, Archives Division, is the primary public record holder.